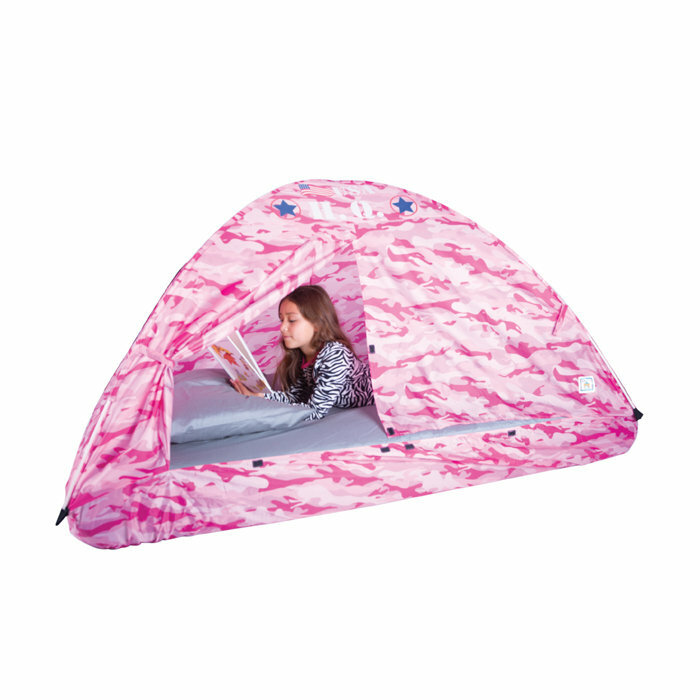 A treat for any imaginative child, the Pink Camo Bed Tent provides a secure play area during the day and a monster resistant fort at night. The easy to assemble light weight frame supports a colorful polyester shell that has a wide opening "T" style door. This Bed Tent fits standard size twin bed and has sewn interior accessory pocket. Polyester storage bag included. Materials: 70 denier, 190 T polyester taffeta with 450mm P.U. coating.